Red onions can be eaten raw, boiled, broiled, baked, creamed, steamed, fried or pickled. These cool-season vegetables are grown by gardeners either from seeds or from small bulbs. 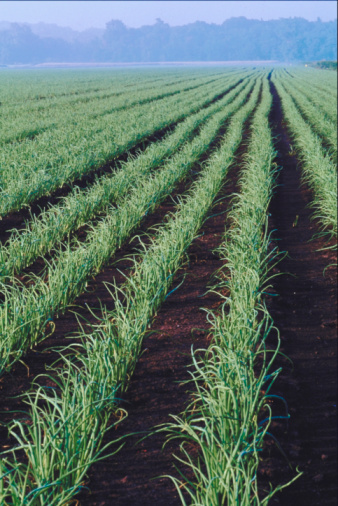 Onions are biennial plants that take two years to complete their life cycle. When planted from seed, the red onion forms and above-ground steam--modified leave --and tiny underground bulbs. The next year, larger bulbs form until the red onions are mature and ready for harvest. 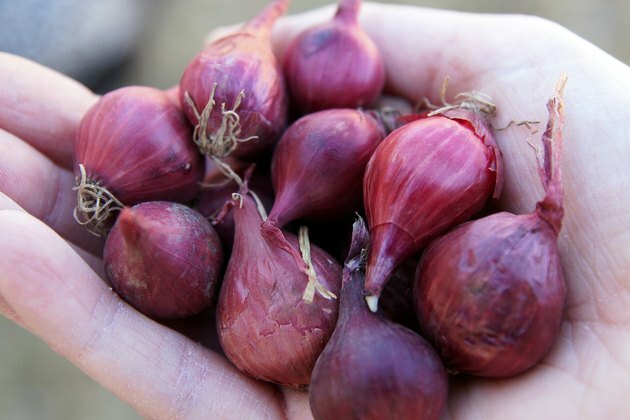 Planting small red onion bulbs, known as onion sets, allows gardeners to bypass the first year of growing and harvest mature onions much more quickly. 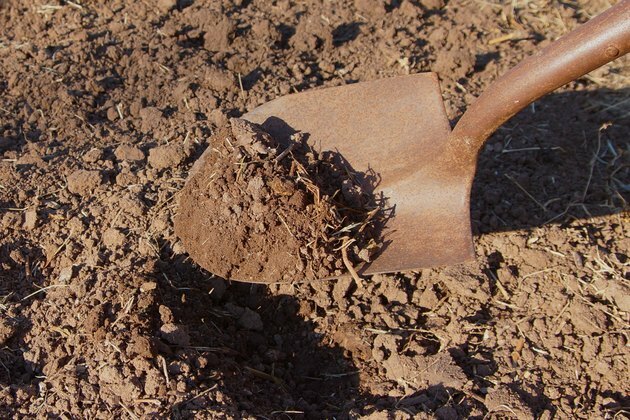 Loosen the soil to the depth of 6 inches with a shovel two to four weeks before the last frost date. Till the soil until it is loose and ready for planting. Add 2 inches of compost to the soil to ensure good fertility. Plant the red onion sets 1 inch deep and 2 to 4 inches apart. Cover them with soil, but do not compact the soil. Plant additional rows of onions 12 to 18 inches apart. Weed the onion patch by hand. Red onions have shallow roots and do not grow well among weeds and grass, which compete for soil nutrients and moisture. 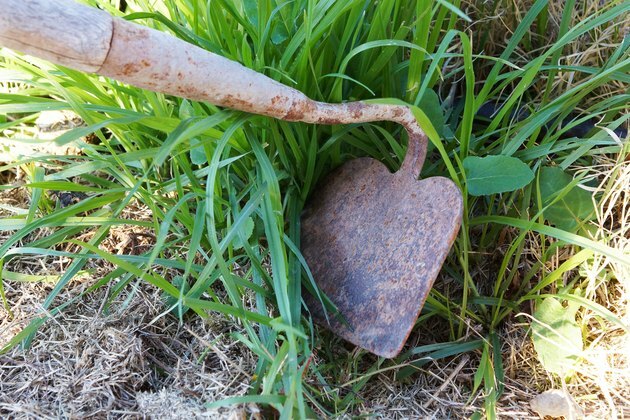 Use a garden hoe to eradicate the weeds between the rows. 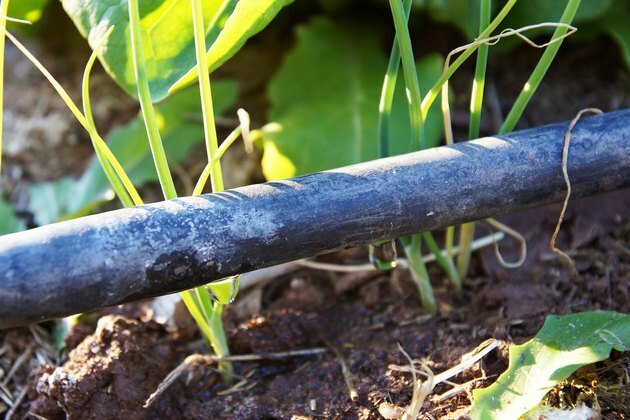 Water the red onion bulbs each week whenever the weather is dry. Water the soil around the base of the plants until the soil is moist to depth of 2 to 4 inches, depending on the size of the bulbs. 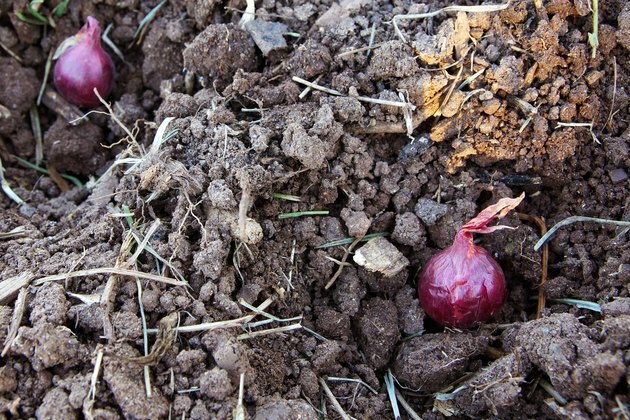 Use a 1-inch layer of straw mulch around the red onion bulbs to suppress weed growth and hold in soil moisture. Feed the red onions three weeks after active growth has started. Place a narrow band of 10-10-10 slow-release fertilizer 2 to 3 inches beside the row of onions. Scratch it into the top 1 inch of soil and water right away to start the fertilizer working. Use about 1 lb. of fertilizer for every 100 square feet of planting space. Pull every other onion when harvesting for the first time. This allows the red onions left in the garden more room to grow. Harvest the onions on a dry morning. Let the onions dry for the day in the shade. 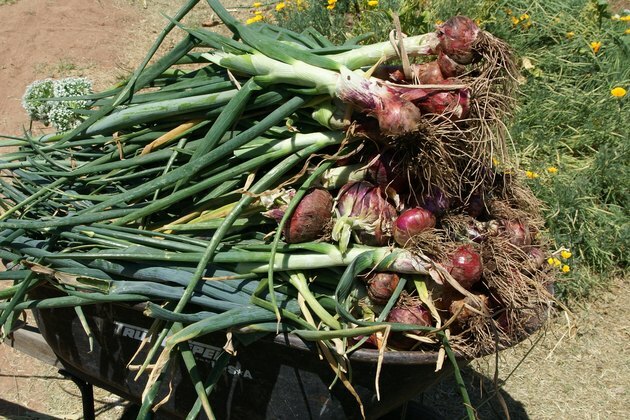 Later, braid the tops together and hang the red onion bunches in a cool, dry area with good air circulation.